As owners of R Wine Bar, Riccardo and Marybeth Tarabelsi are passionate about one thing: people. They believe that people don’t care how much you know until they know how much you care. Every employee at R Wine Bar is hand-picked and personally trained to engage with every guest that walks through the doors. With a curated wine list, local craft beer on tap, and traditional menu strategy, Riccardo and Marybeth are thrilled to bring R Wine Bar to the East Bank of Downtown Sioux Falls. 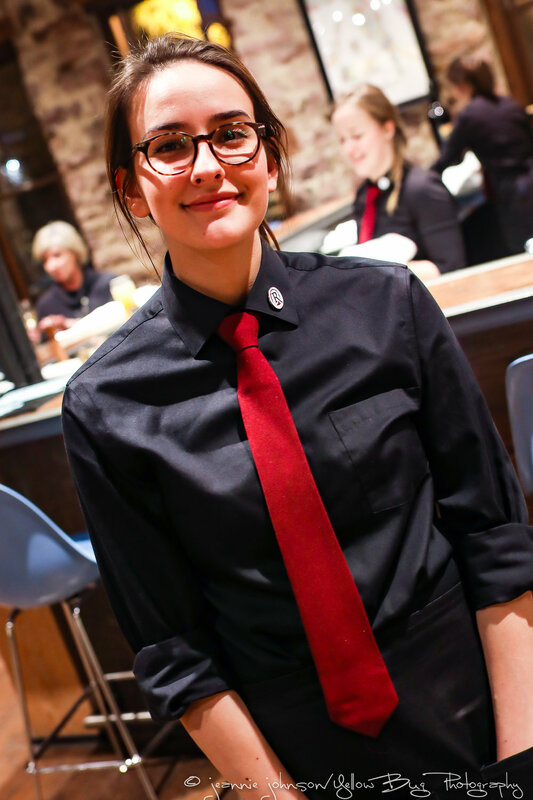 Kira brings an inquisitive youthfulness to her position as Front-of-House Manager. With a penchant for prompt, caring, and elegant service, Kira leads the service team to provide a personable experience to every guest in the restaurant. Whether it’s recommending a glass of wine or local craft beer, or explaining a charcuterie board or one of our sauces made in-house, our servers and bartenders are on one mission: caring for our guests. Kira looks forward to welcoming you to R Wine Bar like you’re family.